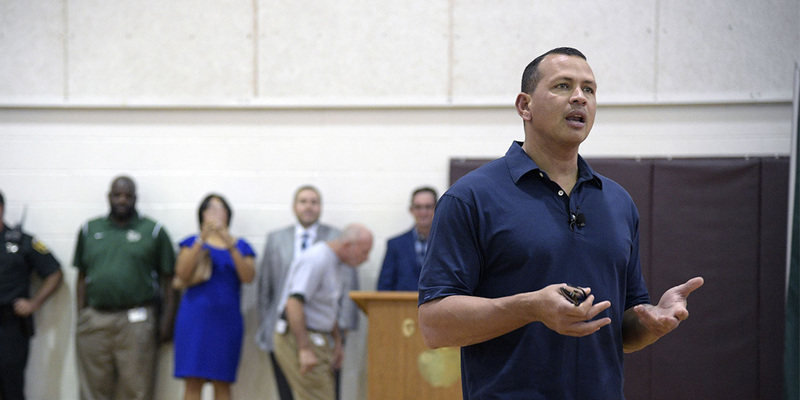 The students of George Jenkins High School in Lakeland, Florida got a motivational lesson from someone that knows the ups and downs of life better than anyone: New York Yankees legend Alex Rodriguez. A Miami native, ?A-Rod? lit the baseball world on fire with a combination of power, speed, and defensive ability only seen once in a generation. From his MLB debut in 1994 to his retirement in 2016, he accumulated dozens of accolades including 14 All-Star selections, two Gold Glove Awards, four AL Hank Aaron Awards, 10 Silver Slugger Awards, and one World Series Championship in 2009. On the day of his retirement, he ranked fourth all-time in home runs. But for all of his accomplishments, Mr. Rodriguez had his faults both on and off the field ? all of which he has learned from to become a successful businessman. While serving a year-long suspension in 2014 for performance-enhancing drugs, he worked diligently to turn his life around. Most athletes in his position would struggle under the negative attention, but A-Rod opted to keep a low profile, attend college business courses, and prepare for a life after baseball. Now a full year into his retirement, he has put his hard-earned wisdom to good use as a full-time analyst on Fox Sports, an active investor and entrepreneur with his company A-Rod Corp., and a relentless community activist. Somewhere in the middle of all that, he still finds time to drive his daughters to school every morning. To say that A-Rod has achieved a complete image transformation in just a couple years is a significant understatement. Listening to him tell his story, he speaks of himself with a degree of humility and self-awareness rarely seen from someone so easily recognized. ?I?m fifth all time in the game in strikeouts,? he said to a packed gymnasium of cheering Lakeland students. ?That means I have a Ph.D. in failure. I also have a Masters in getting up, standing up, and not being defined by my mistakes.? 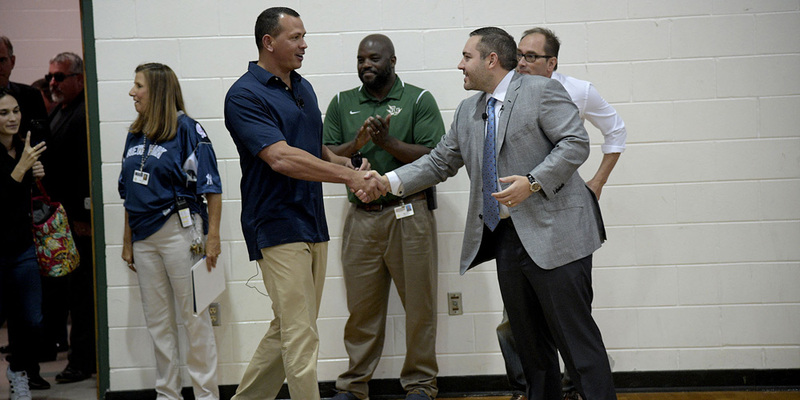 A-Rod?s message to Lakeland students? Believe in your goals. The spotlight is not everything. Even if you are not a star, you still have all the resources you need to get an education and succeed at whatever you set your mind to. Wise words from a man who earned his wisdom the hard way.